Kanchan Oil Industries Limited is a medium scale industry situated at Sitaldihi, Jhargram, West Bengal at a distance of 170 Kms from Kolkata and having its head office in Kolkata. It all started in the year 1988 when a sick unit was taken over from Government of West Bengal (WBFC & UBI) and today it is an ISO 9001-2000 certified organization and had been awarded by “GLOBE OIL INDIA” as emerging Company for the year 2007. Presently it also enjoys AGMARK & VOP certifications. 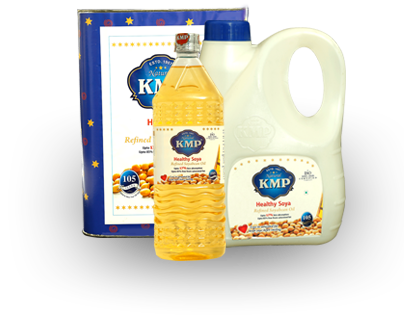 Today the plant specializes in refining and manufacturing of edible oil and fractionated oil under the flagship brand KMP. In the initial days the plant was engaged in extraction of oil through solvent process & refining but later in the year 1995, the company extended its activity and the plant started CPO refining deodorization & hydrogenation of oil. The plant even invested heavily in installing Votator to produce specialty products like Bakery Shortening and Margarine. All products are thoroughly tested at the in-house laboratory under the supervision of highly qualified and experienced chemists. Thus Kanchan Oil Industries Ltd. could offer to its consumers an array of healthy and assorted best quality edible oil at an affordable price. Today the physical refining and hydrogenation capacity of the plant is 100 metric tons per day for each. Beside it can also accommodate production of 60 metric tons per day for bakery shortenings & margarine. Simultaneously the packing capacity is aligned with the production @ 100 metric tons per day. The high level of consistency in terms of products & service quality has helped to establish a strong market goodwill & wide client base in India and abroad. The company aspires to achieve long term business relationship with the clients and stakeholders based on strong corporate ethics.